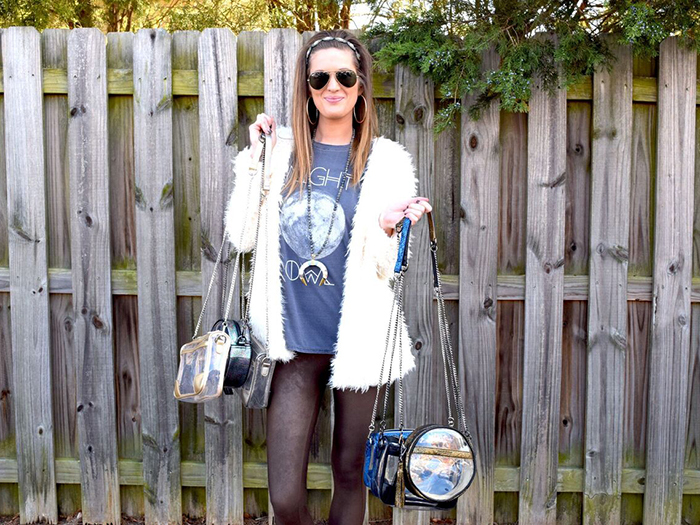 Jen Ugland, owner and designer of POLICY Handbags, is the ultimate Charlotte boss babe. When she launched her NFL regulation-friendly, cruelty-free line of handbags in 2016, it was as a passion project. Today, with the line having found solid footing in the fashion world and a nationwide customer base, it’s her life. In the fall of 2016, we met Ugland during the early stages of POLICY, when the line was launched to specifically meet the NFL’s new rules that banned bags, purses or backpacks over 4.5″ x 6.5″ from stadiums unless they were clear and plastic. 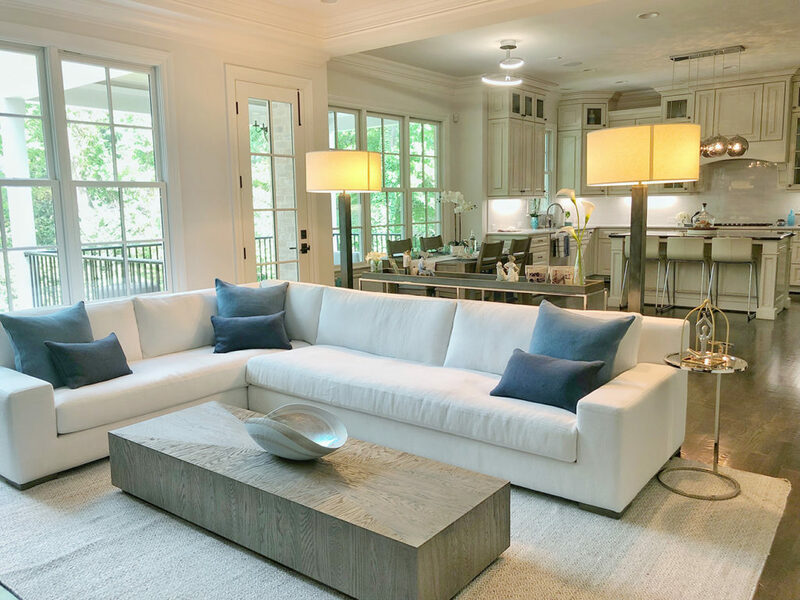 As an avid football fan and fashion lover, she found herself frustrated with the inability to conceal the contents of her handbag – which, on game day, include an iPhone, lip gloss and credit card. So she made her own. Fast forward to today and the handbag line has found its footing not only in the sporting world, but also the fashion world as a whole, a move Ugland says she never saw coming but snowballed into existence naturally. She watched the bags sell out within the first week and realized there was demand for the product beyond game day and quickly began to brainstorm more styles and colors. Today, she says she’s sold more than she “ever imagined” she would, and oversees a line of more than 80 options, all under $100, that have been spotted everywhere from NFL games to Coachella. 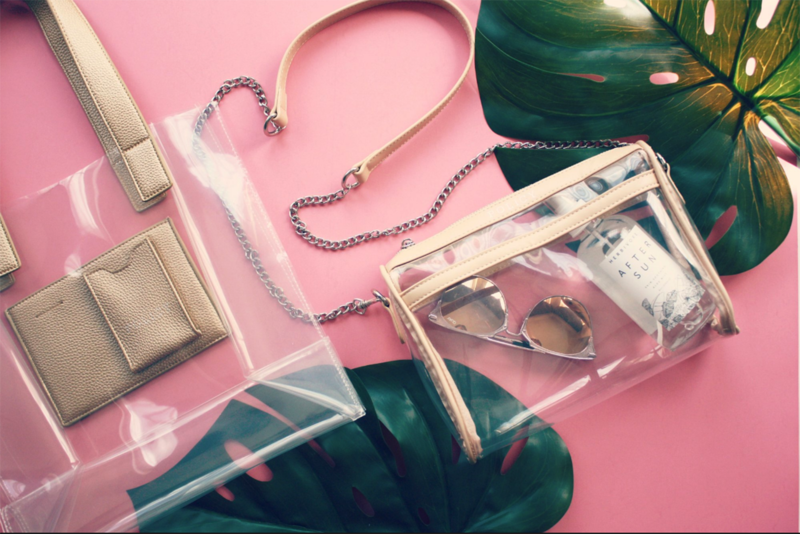 Ironically, her collection of clear bags – the type of bag she started POLICY in order to help women avoid – has become a fan-favorite. Ugland’s dedication to the brand and her vision has catapulted POLICY to the front of the fashion and media world, with flattering features in publications like NYLON, Brit + Co and Bustle. When they’re not being featured in shop ads or trend reports, they’re often being called a line to watch. Features still make Ugland’s heart skip a beat – she says she’s still astonished by any press or publication – and she compares seeing her work in those realms to a rock star hearing their song on the radio for the first time, and she often finds herself celebrating when the line gets recognition. After a full page ad in NYLON, she popped a bottle of champagne. Despite the traction, Ugland still feels and works as though the brand is in its early stages, but the sky is the limit. At the moment, she’s focused on this year’s creations, but hopes to expand into travel necessities and luggage appropriate for every type of customer (her Bare Cave, with a removable tassel and chain, is a unisex travel bag), partner with other designers and eventually become a go-to and well-known handbag brand without straying from what she originally set out to do. “I will always stick with the original plan and continue to design fashionable options that provide a safe environment for everyone,” Ugland said. 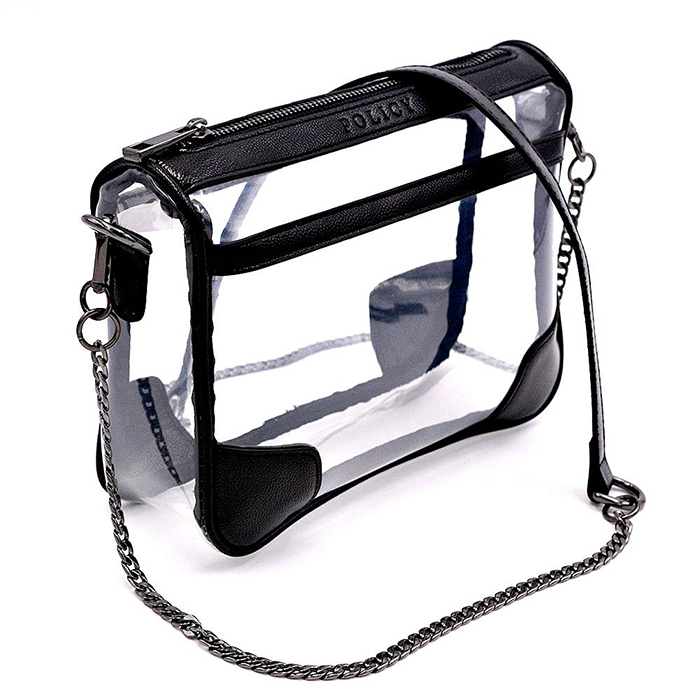 Connect with and shop POLICY Handbags online, and keep up with the line on Facebook, Twitter and Instagram. All photos courtesy POLICY Handbags, feature photo via Facebook.